Atletico on Thursday confirmed that their new stadium has already broken the record for season tickets sold. Wanda Metropolitano already has 48,500 orders for season tickets and there’s still plenty of time and room left to improve that number. The club is expected to move to the eastern-Madrid stadium in September this year and with capacity expected under 68,000 seats Atletico should manage to sell many more. So why are they confirming it now? Because 48,500 is just above the current season ticket record of 48,441. That record was set for the current season, most likely the last to be played at Estadio Vicente Calderón. Atletico are hopeful of being able to relocate to their new home in September, following 6 long years of construction. They’ve been owners of the land for a month now, which will make it much easier to operate the building. Once opened the stadium will offer not only 68,000 seats, but also 4,000 parking spaces, 1,000 of which will be hidden underneath the stands. 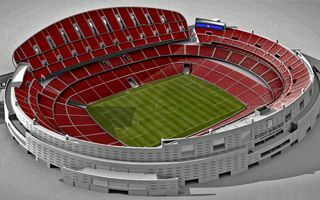 Wanda Metropolitano will also have Spain’s very best hospitality offer, at least until Real Madrid and FC Barcelona finally run their stadium reconstructions. The new stadium of Atletico is already competing to hold the Champions League final in 2019. It’s also a likely contender to hold Spanish cup final in the future.